One of the best shrubs for foundation plantings in the Hudson Valley. Gold Mound Spirea has vibrant yellow foliage throughout the growing season and creates interest in the landscape. 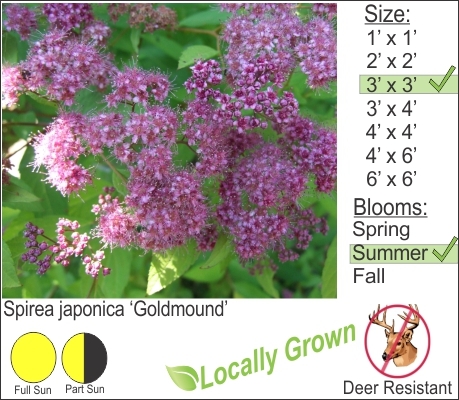 This standout is well suited for the Hudson Valley with good deer resistance and abundant pink flowers in the summer. Gold Mound Spirea is easy to care for and looks good mixed with Weeping Japanese Maple and Evergreen Boxwood.